Comfortable events. Happy hospitality. Unexpected delights. 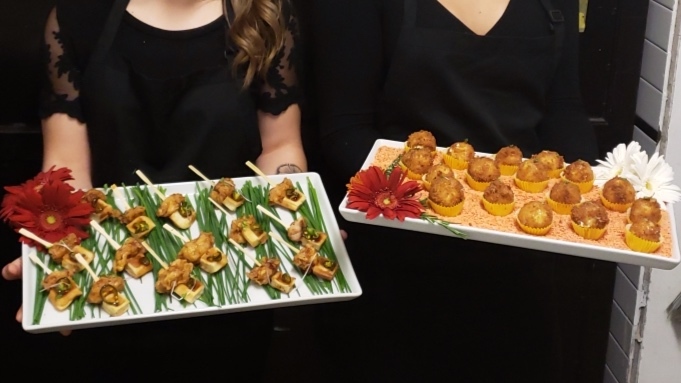 Farmfare servers share appetizers with guests. Fingers foods maintain a causal atmosphere. Just the right food for your favorite guests. Plated food for happy partiers. Atmosphere in many venues influence the menu–such as apple pies in cast iron.